Who could be more special than your mother? She made the broken look beautiful and the strong look invincible. She walked with the universe on her shoulders and made it look like a pair of wings. Mothers are the reason behind our existence. She has always loved us unconditionally and probably the only person we can trust with our eyes closed (and dads as well!). 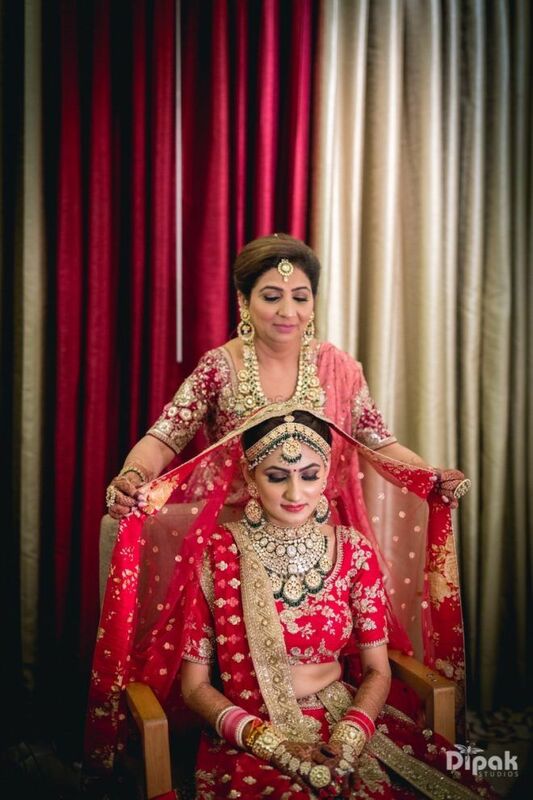 What could be better than a couple of perfect pictures of brides with their mothers this perfect lady on the biggest and the most important day of both of your lives? Home is where my mom is! When you look at your mother, you are looking at the purest love you will ever know in your life. She has seen you in every stage of life, in your every mood, in your ups and downs, in your worst and best times and guess what? She has loved you unconditionally always. When she looks at you, there is only room for love and blessings. Remember our mom’s kisses used to have those magical healing properties that we all were unknown of? When she kissed us good night, all the sweetest of dreams were on our way. When your mom kisses you on the forehead, there are millions of blessings in disguise. 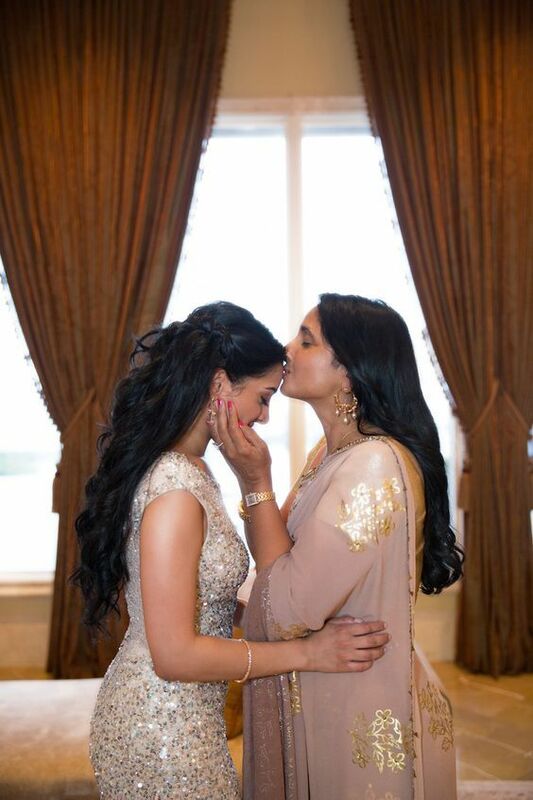 This picture of the mother kissing her baby daughter is the purest form of love you will ever come across. 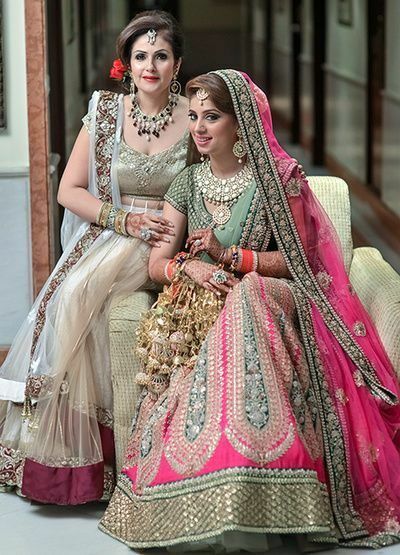 Your mothers are the ones who choose that beautiful bridal dupatta for you. Obviously, she gets the privilege to place that one your forehead. 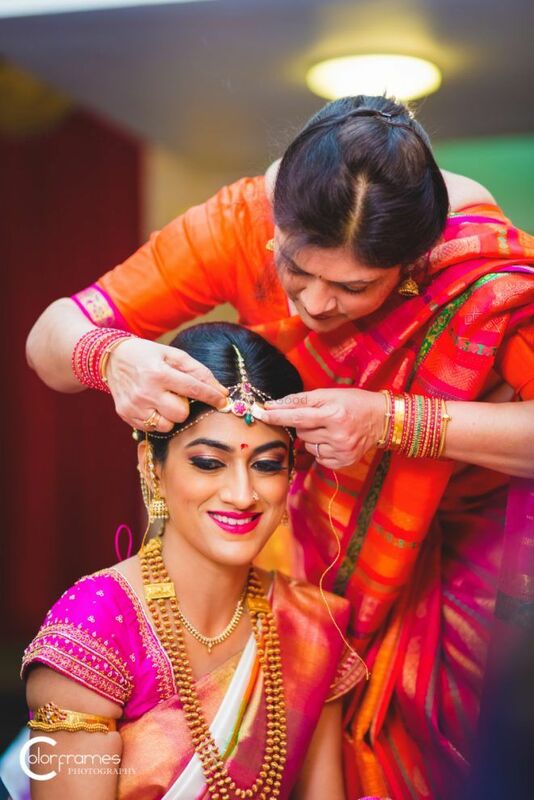 This is one of the most perfect pictures of the mother-daughter duo. 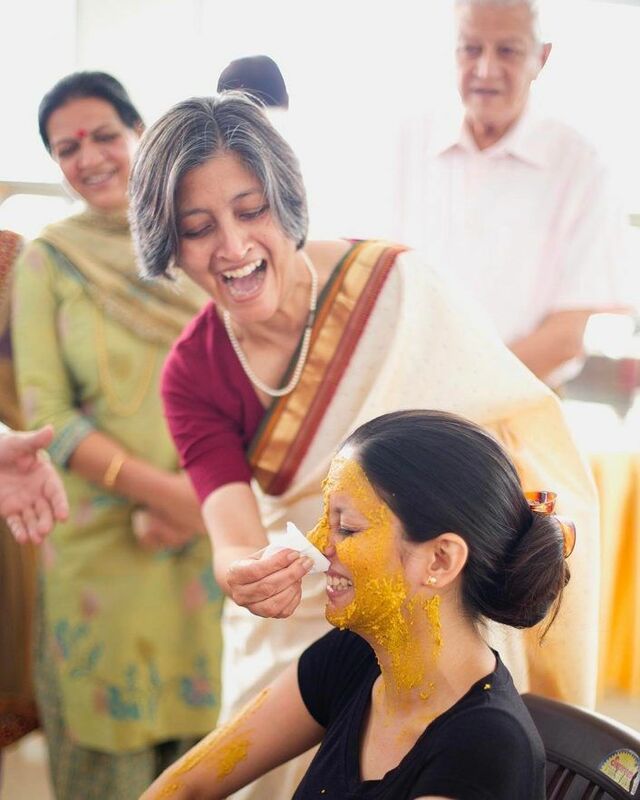 From applying all those herbal face packs on your face to applying haldi on your haldi ceremony. You guys have come a long way. There are so many emotions and fun, both at the same time. 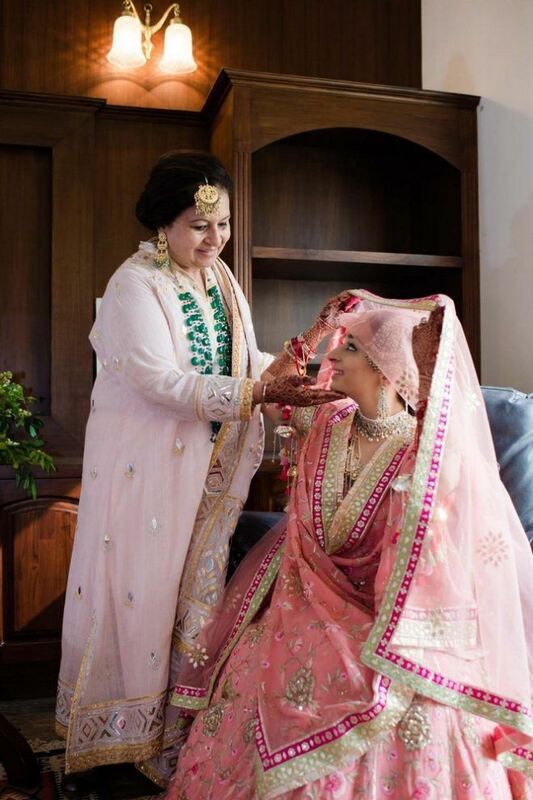 She definitely remembers the first time she saw you when you were born and now she is seeing you for the first time after you got ready as a bride. How could she even control her emotions, seeing her little princess all ready to get married and start a new life? She helped you get ready for your fresher’s party and your farewell party and now she is helping you get ready for your marriage. She might never have had told you about this but it was her dream to get you all dolled up for your big day. No matter how old she is, sometimes all a girl needs is her mother. Get a picture when both of you are all ready for the biggest day of your lives. A picture where she looks like a queen who has given birth to a princess like you. This is surely one of the most perfect pictures you could get with your mom on your D-day. Life doesn’t come with a manual, it simply comes with a mother. She has carried you nine months in her womb and a lifetime in her heart. Who could ever love you more than your mom? These are perfect pictures you could get with your mom and make her realize how important she is to you.